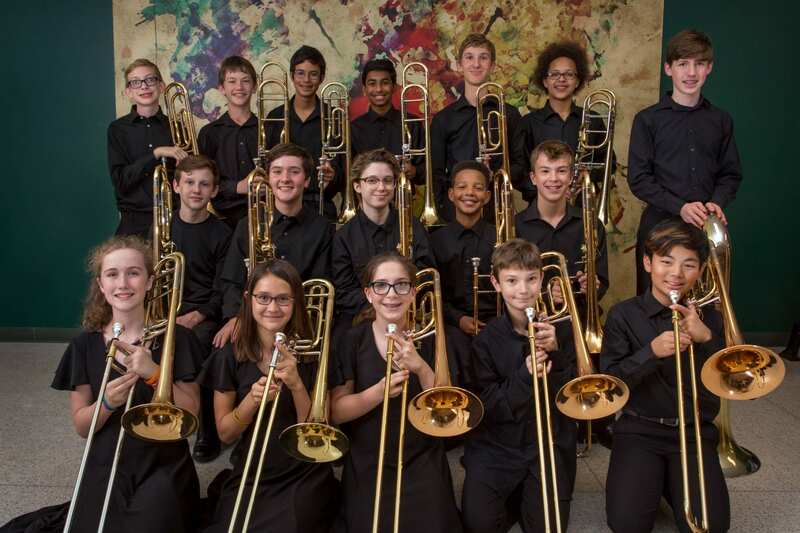 Join us as the Walsh Trombone Choir plays a pre-concert lobby performance at the Georgetown Performing Arts Center on March 3, 2019 beginning at 2:40pm. The lobby performance precedes the concert of the Round Rock Symphony with internationally renowned guest artist Joseph Alessi (Principal Trombonist of the New York Philharmonic). The Round Rock Symphony is a partner and member of the Round Rock ISD Council of the Arts. The Walsh Trombone Choir will be performing a fanfare for patrons as they enter the concert hall and take their seats. The ensemble consists of 25 students in the 6th, 7th, and 8th grade trombone studio of the Walsh Band. Recet accolades for students include: 4 of the students were recognized this year as the best middle school musicians in the region, 2 of them as 1st chair for their instrument and 2 of them as 2nd chair for their instrument. The Walsh Middle School Trombone Choir is an after-school club that meets once weekly to rehearse. The ensemble has performed for various crowds, including over 10,000 fans at the Round Rock Express’ July 4th Celebration, at the Big 12 Trombone Conference held annually at Texas Tech University, and on the campus of The University of Texas at Austin. The Walsh Trombone Choir was created in 2016 by Mr. Josh Stover – Assistant Band Director at Walsh Middle School. Check out the details on the concert.